Foresight careers typically advance fastest not only with courage, good ethics and character, but also with role specialization and persistence. The longer you can stay in one type of foresight work, and engage daily with its challenges, the sooner you’ll get through the steep part of the learning curve into mastery. Those who study expert performance say it takes lots of intense, structured practice, with high-quality feedback, to become excellent at anything. To get really good, your practice should regularly take you to the point of failure, so you can find your limits, and then exceed them. 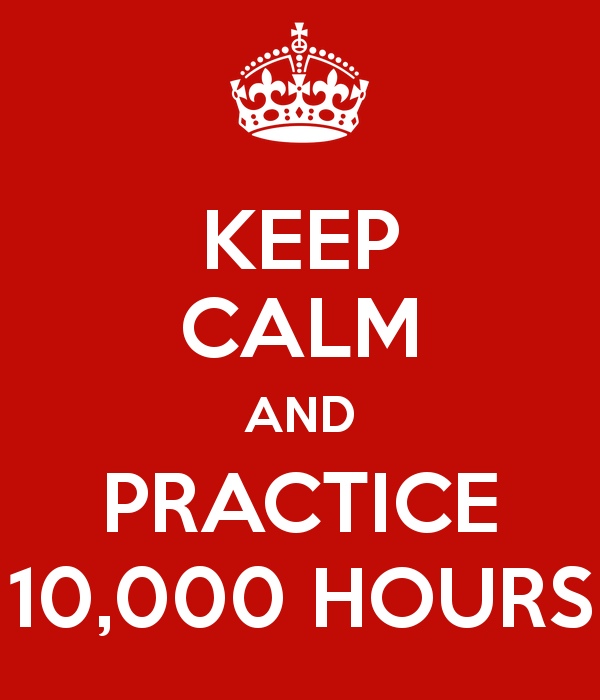 Ten thousand hours, or ten years of full-time effort is one commonly cited figure for the price of career expertise, a number popularized by journalist Malcolm Gladwell in Outliers (2011). Since Gladwell’s book, further research with musicians and chess players has shown that practice, in these two occupations at least, accounts for only a third of the variance in performance. Talent, luck, and especially the kind of effort we make also matter. So the 10,000 hour “rule” is better understood as a guideline. Until we have the behavioral science training platforms we need, committing to count and put time into practice is a great place to start, and is one of the easiest things we can control. When you practice, make sure at least some of your practice is difficult and intense, practice in which you can fail, at least a bit. Consider athletic performance. In many competitive sports, coaches have their athletes do high-intensity interval training (short bursts of maximum effort, followed by full heart rate recoveries) at least once a week. But unless we are being coached, most of us shy away from this kind of training. Why? It takes no more time, just more mental effort than an ordinary workout. Also, the recoveries will occasionally be harder and longer, because when we push ourselves to our limits, even briefly, we sometimes fail. Muscles tear a bit, we need to heal, and change up our exercise routines while we heal. But according to a small number of studies since 2000, that failure, and the healing, may be just as important as the stress to improving things like heart rate variability, general cardiovascular and respiratory fitness, mood, and immune function. See Loehr and Schwartz, The Power of Full Engagement (2005) for details. Practice in which you regularly fail and in which your mistakes are reviewed by experts and mentors, remains one of the surest and most controllable routes to excellence, regardless of other personal and environmental factors. Gaining such experience usually (but not always!) happens much more intensely and quickly via the right group than alone, and can be one of the greatest benefits of working in a firm versus working as an independent practitioner. Of course, if you are creating something new that goes against received wisdom, group practice can sometimes hold you back. In general though, open minded mentors and organizations, and the right kind of practice environment will provide a motivational structure to push you to practice harder and more intelligently than you ever would on your own. 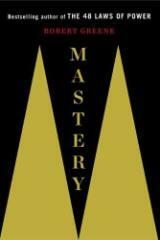 For a wealth of practical ideas on how to build expertise via structured practice, mentorship, and self-understanding, you might start with Robert Greene’s excellent Mastery, 2013. It is Greene’s fifth book on various forms of expertise, and his facility at explaining expert performance shows in this mature (well-practiced) work. We also recommend Daniel Coyle’s The Talent Code: Greatness isn’t Born, It’s Grown, Here’s How (2009) and Geoff Colvin’s, Talent is Overrated (2010). If you want to explore the academic research, see Anders Eriksson’s Development of Professional Expertise (2009). Eriksson’s work is the original source of the 10,000 hour “rule,” and a rich trove of studies and data on expert performance. In sum, greatness can be born or made, natured or nurtured. Both routes work, and any combination thereof. Either way, deep mastery of anything requires the right environment, lots of deliberate, difficult practice, and the appropriate challenges to emerge. Good luck, and may your most useful masteries arrive early and stay for a lifetime!